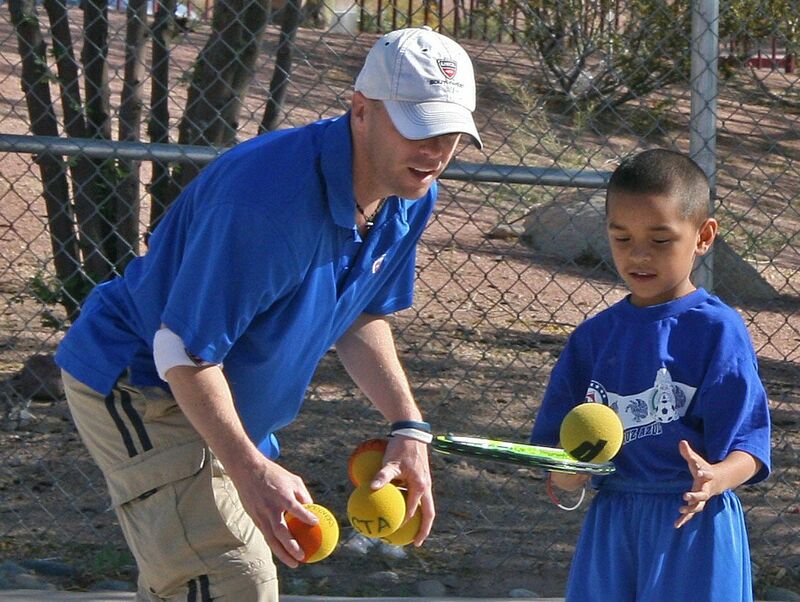 Help Support USTA Central Arizona After-School Tennis!!! USTA Central Arizona is laying the groundwork to become the Southwest Section schools program leader. Despite our status as one of the largest cities in the United States, until recently, USTA Central Arizona did not have a formalized schools tennis program. Over the past several months, USTA CAZ has started our programs and been able to introduce tennis to over 500 children, in five (5) school districts (Madison, Washington, Dysart, Tempe, and Chandler). We are writing to request that you support our efforts with a charitable contribution. With the monies that you provide, we will be able to introduce tennis to under-served populations. This new approach to school tennis across the Valley will enable young people of all races and socio-economic status to come together in the common endeavor of tennis competition and learning. These children are the future of our game! Your donations to USTA Central Arizona are 100% tax deductible as we are organized under Section 501(c) 3 of the Internal Revenue Code. Finally, anyone who sponsors a child for $150 will be entered to win tickets to the U.S. Open in 2010. Thank you for your support of tennis! _____ $150—USTA Central Arizona Adopt-a-Child:	make this dream a reality for one young person in our community. Impact of Donation:	see above, but will give 40 children the affordable opportunity to be introduced to the game of through the after school program and Junior Team Tennis.